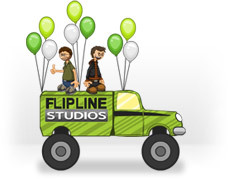 Flipline Studios is an independent game development studio from Cleveland, Ohio. We focus on creating unique and highly enjoyable games for our legion of awesome fans. We make free-to-play Flash games along with apps for both tablets and phones. Our games have won numerous awards and are played daily by millions of people from all across the world. The games that we design, develop, and publish here at Flipline Studios cover a wide range styles from casual cooking games to action-packed platformers. 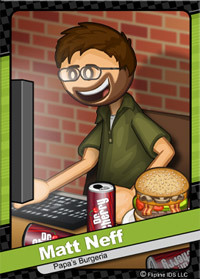 Our team consists of two very busy guys, Matt Neff and Tony Solary. We create many games and apps throughout the year, all-the-while maintaining our site, and engaging our fans through our blog, Twitter, and Facebook pages. Tony Solary grew up in the far off town of Cleveland. Having a fondness for drawing, he attended the Cleveland Institute of Art where he met Matt Neff and started Flipline Studios. 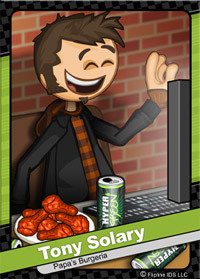 Tony now spends most of his days making games, reading comics, and playing with his four kids.